If you think Halloween is an American holiday, you would be wrong. Europeans definitely celebrate Halloween. In fact, if you dig far enough through the annals of pagan history, it would seem that the whole Halloween thing seems to have its roots in the Old World. The results of combining the ancient Roman Feralia, commemorating the passing of the dead, with the Celtic Samhain make it seem like Halloween as we know it today could have moved from Europe to the U.S. with Irish immigrants. Halloween didn't take its present form until All Saints Day was declared by Pope Gregory IV to replace the traditional pagan festival. When the influence of Christianity spread throughout Europe in the Middle Ages, the newer saintly holiday was melded with the well-established Celtic ceremonial rites. During this cultural transition, the night before All Saints Day became All Hallows Eve, and people went door-to-door begging for food (or "soul cakes") to feed the poor. The festival was further transformed when colonists in the Americas meshed with autumnal Native American harvest celebrations that included stories about the dead and mischief-making of all kinds. These celebrations were further cemented as part of the holiday when more and more European immigrants came to the New World, bringing with them Europe's tradition. Although Halloween isn't celebrated as lavishly as it is in the U.S., many European countries have their own unique way of marking the spookiest of holidays. 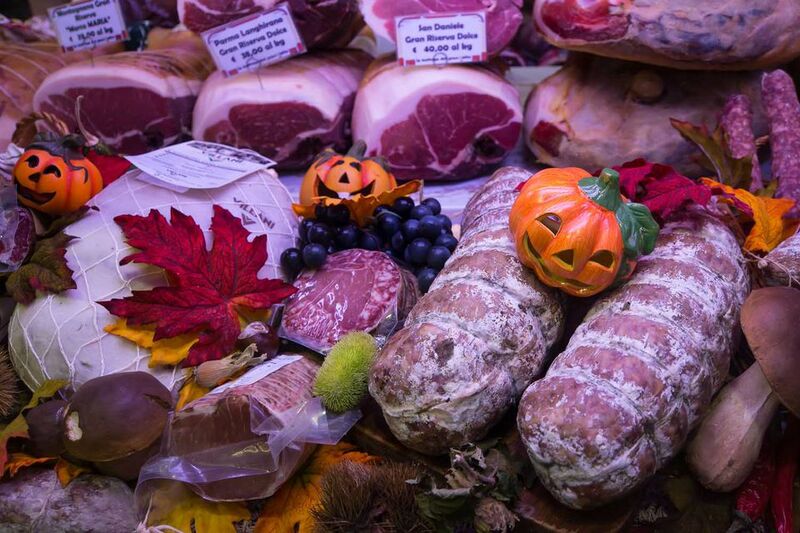 Here are some local festivities you can partake in if you find yourself in Europe on Oct. 31. Take a tour of London Dungeon, which is done up especially freaky for Halloween. Make sure to book tickets in advance though because they sell out every year. If you're more of the party type, London has a Halloween pub crawl across several spooky venues. Costumes, of course, are optional. And don't forget Guy Fawkes Day, also known as Bonfire Night, takes place every Nov. 5 in the U.K. If you're still in a macabre mood, you can partake in the many fireworks and bonfire displays happening around town. Edinburgh has a robust Halloween scene, with guided tours across the city's scary landmarks and all of Scotland. Much like its London counterpart, the Edinburgh Dungeon offers Halloween tours with special events. Disneyland Paris goes all out for Halloween every year, so if you're traveling with children, a hotel package could be an interesting family solution. The town of Limoges is famous for its Toussaint (the French version of All Saints Day) celebrations. If you fancy some time away from the capital, check out their many events. Italy has gone Halloween crazy in recent years. Restaurants, movie theaters, museums, and other tourist attractions have become involved in the action. Check local guides for specific offers. For the seasoned Halloween fan, visit the birthplace of a lot of scary folklore: Transylvania, home of Vlad the Impaler, aka Dracula. You can take eerie tours through the country's medieval castles, including Dracula's own former home.